Product code: 20745 Category: T-shirts. No bleed fabric is created with a unique cationic dye process for easier printing of your logo! 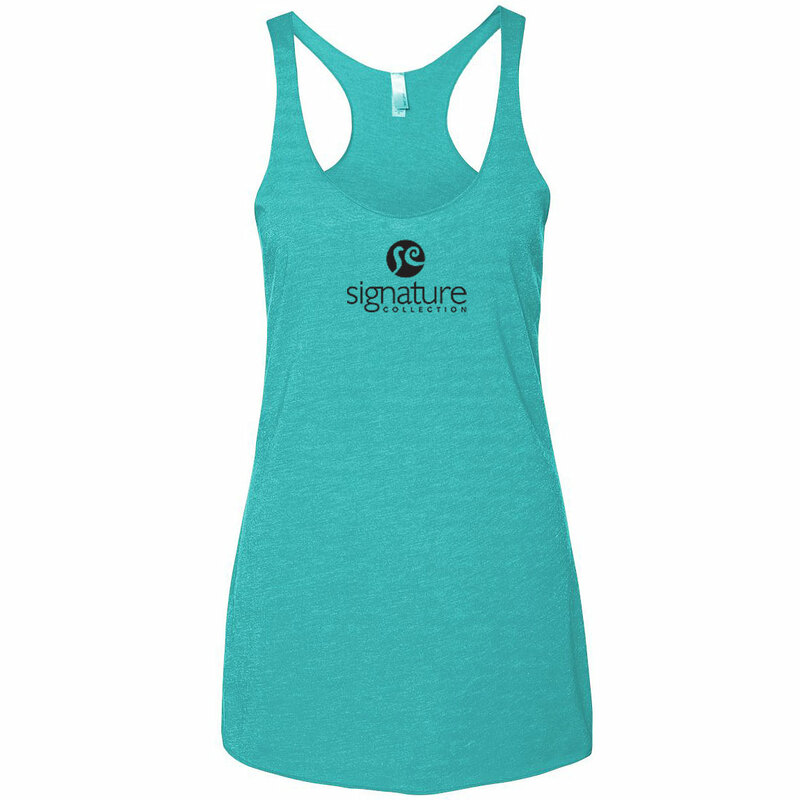 This 6.3 ounce, 100% polyester jersey tee is breathable with moisture wicking and UPF 15 protection. The tagless style features a 3 panel hood, thumbhole at cuffs, and flat lock seams. An additional surcharge applies to sizes 2XL and above. Please see your Account Manager for pricing details. Join the crew movement with this slightly heathered CVC crew shirt! 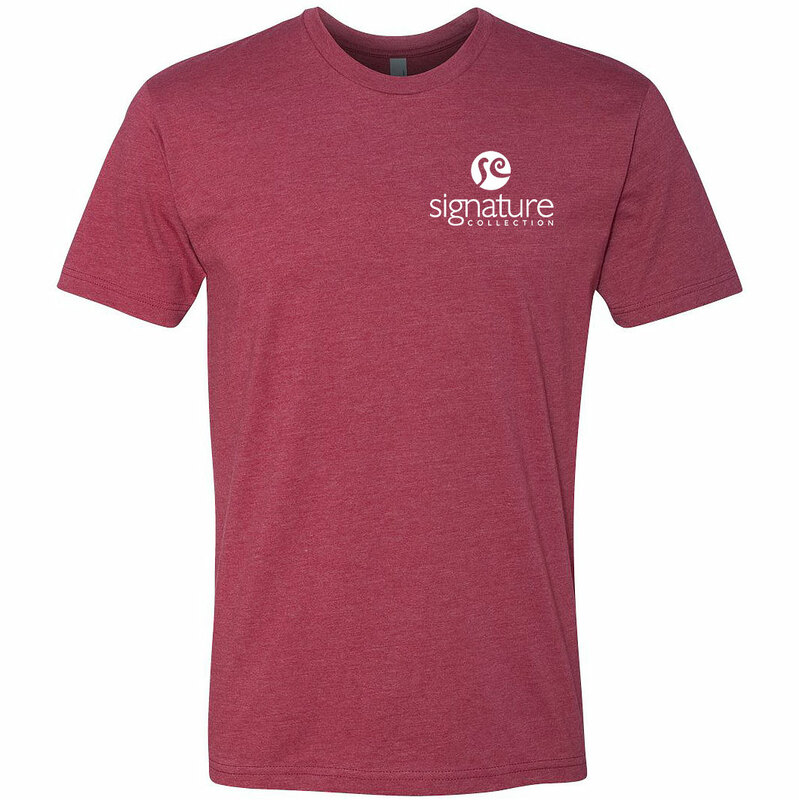 Made from 60% combed cotton/40% polyester jersey, this 4.3-oz tee is the perfect choice. It is slightly heathered with 32 singles for extreme softness and 1 x 1 baby rib-knit set-in collar. Also has a tear away label. This super-soft crew is instantly loved by all who wear it! 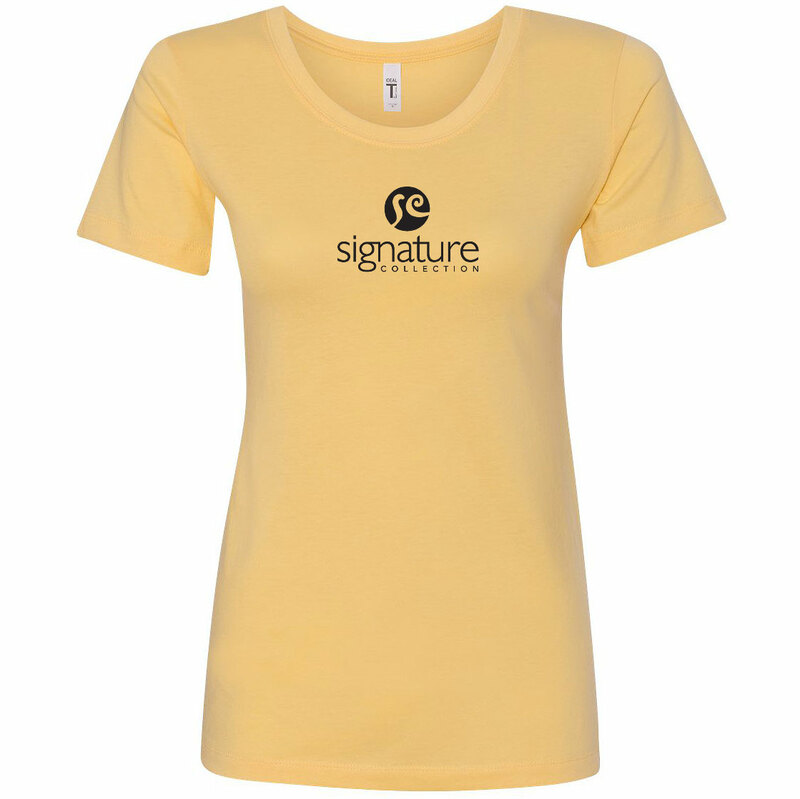 Made from preshrunk 50% polyester/25% cotton/25% rayon jersey, this 4.3-oz style is constructed of 32 singles for extreme softness. Features a satin label and 1 x 1 rib knit set-in collar. 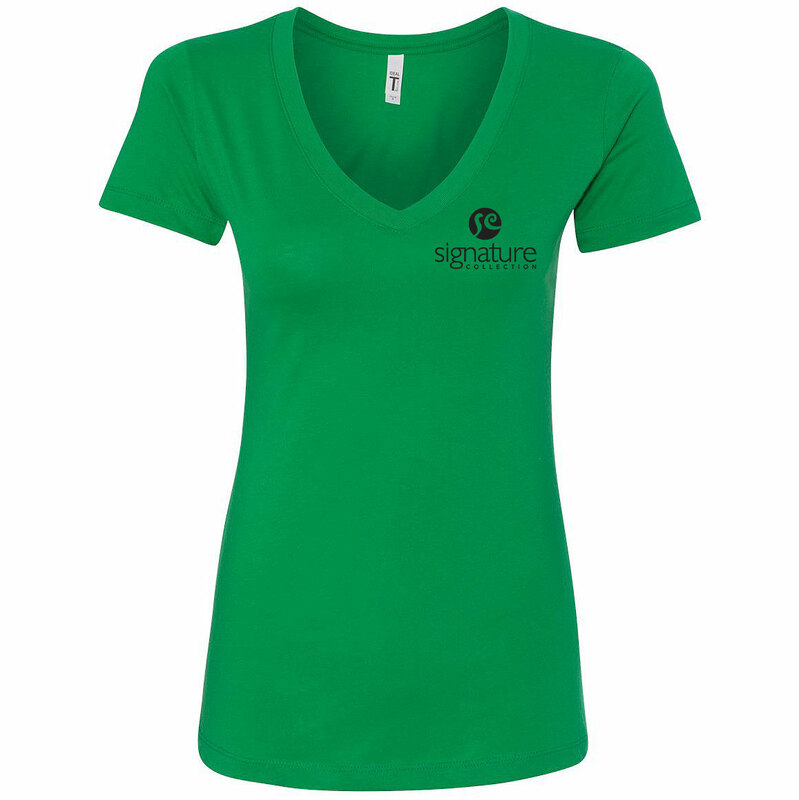 Pair this Next Level v-neck with jeans or slacks for style that takes you from weekday to weekend! The 4 oz, 30 singles tee is made from 60% combed ringspun cotton/40% polyester lightweight jersey. The tee is fabric laundered for reduced shrinkage and features a front cover-stitched 1x1 baby rib-knit set-in collar, and tear-away label. This Next Level boyfriend tee will be a go-to on the weekends! Made from 100% combed ringspun cotton fine jersey, the 4.3 oz, 32 singles style is fabric laundered for reduced shrinkage. Features a tear-away label, and 1x1 baby rib-knit set-in collar with front cover-stitch. 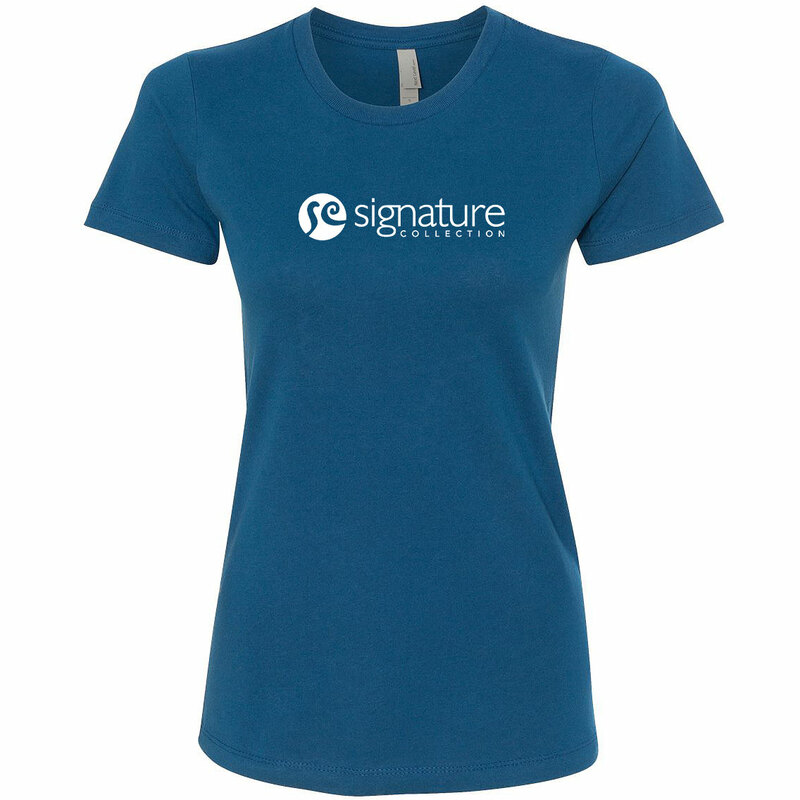 Looking for the ideal tee for your next event? This 4 oz. 30 single crew neck has a feminine fit. Fabric laundered for reduced shrinkage this Next Level style features a tear-away label, and front cover-stitched 1x1 baby rib-knit set-in collar. Want to add just the right amount of edge to your weekend style? 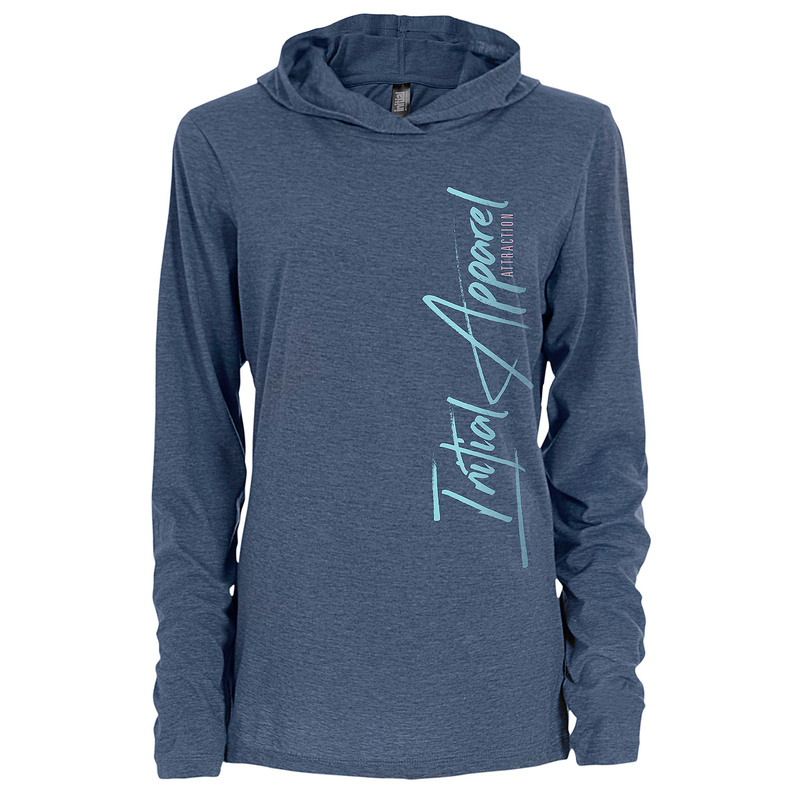 This hooded, long sleeve tee will get noticed! Designed and decorated in Canada, this 7 oz hooded tee makes a great giveaway at health clubs, schools, and more. 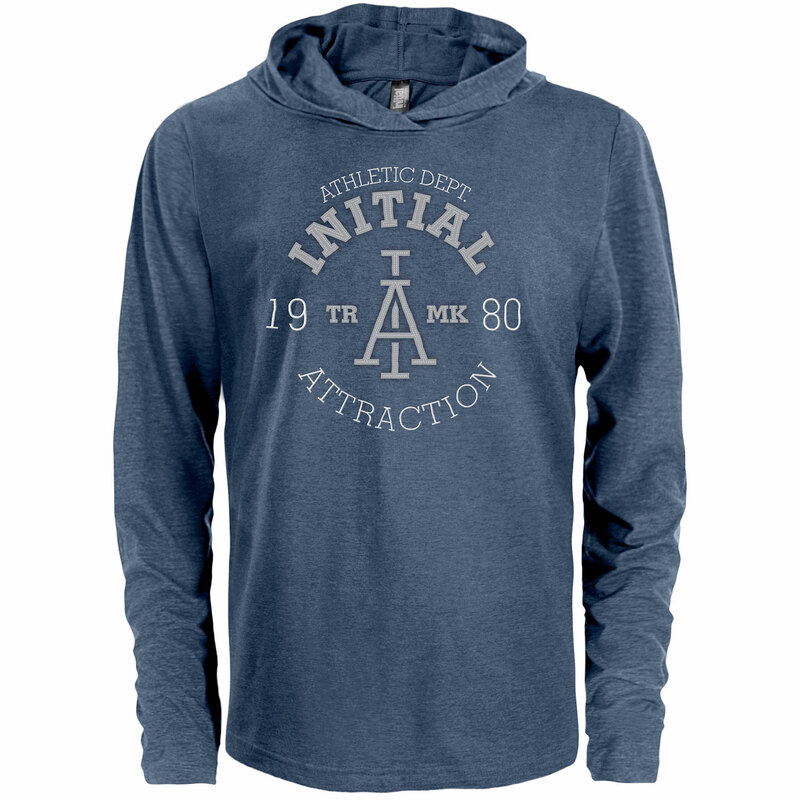 This fine gauge heather jersey is made from 65% polyester/35% cotton and features a hood and long sleeves. Designed and decorated in Canada, this 7 oz hooded tee makes a great giveaway at health clubs! 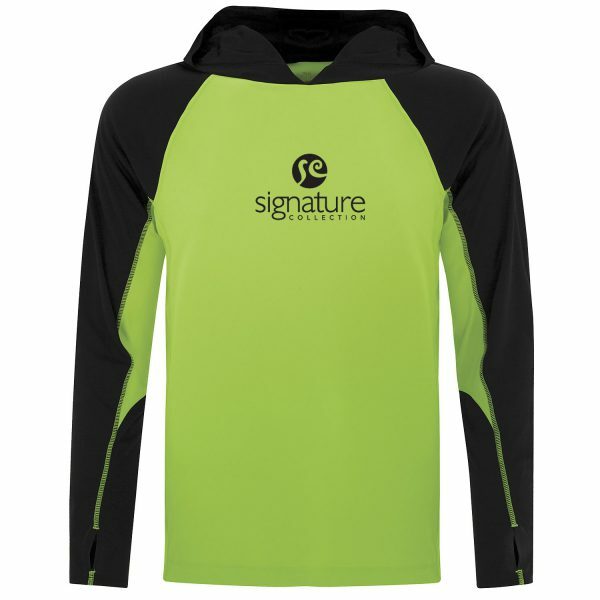 This fine gauge heather jersey is made from 65% Polyester/35% Cotton and features a hood and long sleeves. This cool style will be a popular piece for a day out! Made from 50% polyester/25% combed ringspun cotton/25% rayon jersey this 4.3 oz, 32 singles style is fabric laundered for reduced shrinkage, and has a satin label. 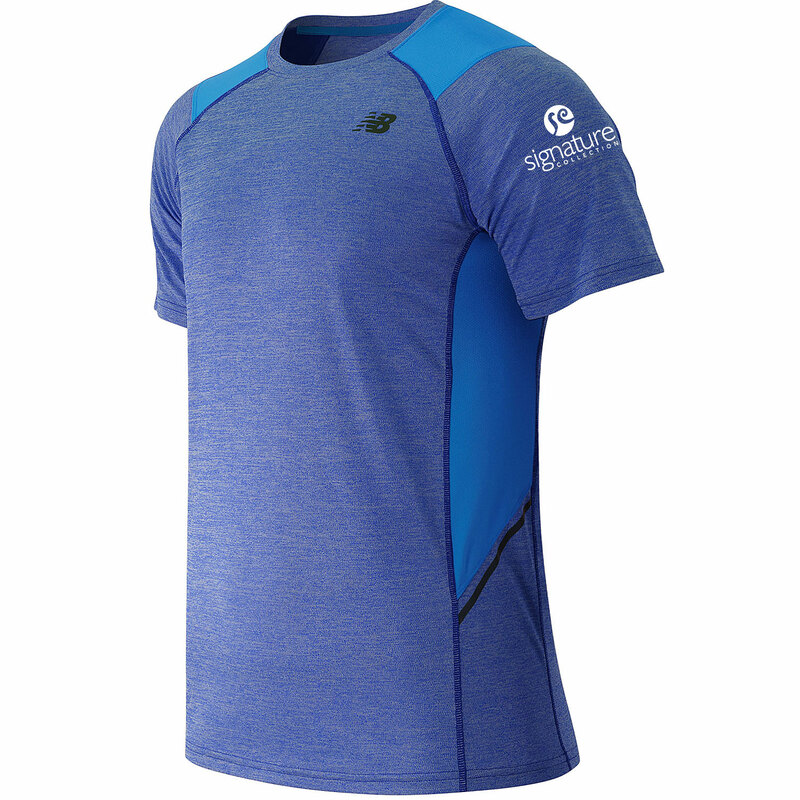 A performance tee to keep you at your best! The novelty tech tee from New Balance has a fashionable, yet functional colour blocked style. 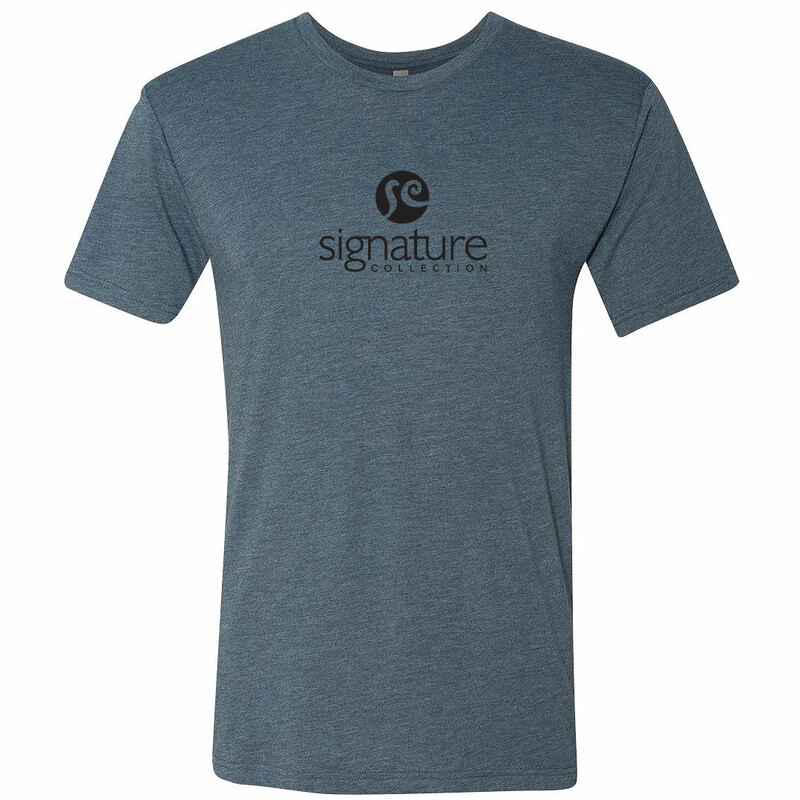 Made with a 100% polyester body, the tee features polyester and spandex mesh insets, and logo at left chest. Coordinate your staff at dental and medical offices, laboratories, hospitals, spas, and veterinary clinics! 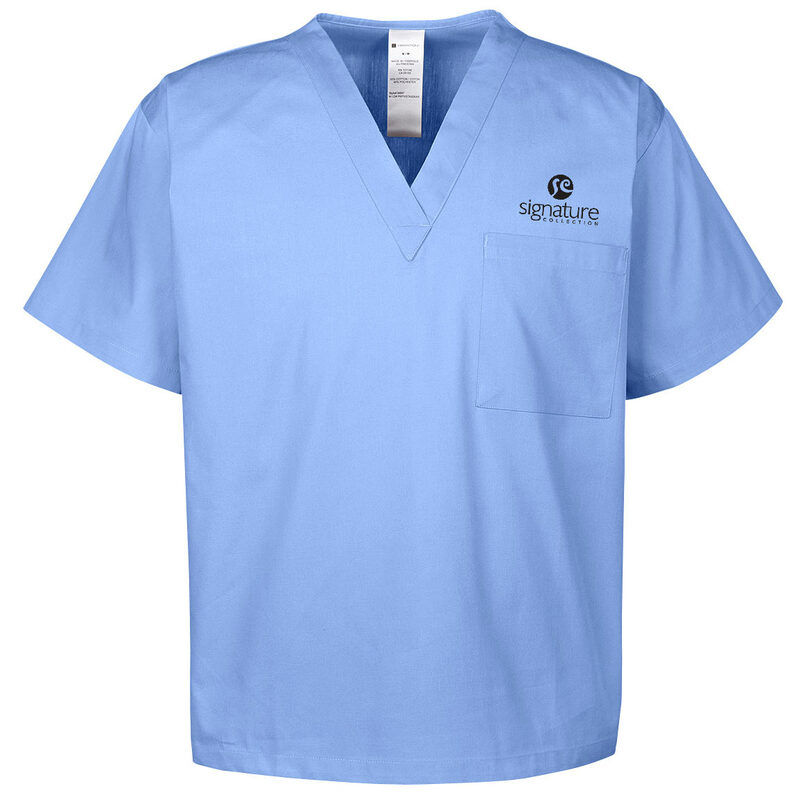 This 4.9 oz scrub top is made from 55% cotton/45% polyester poplin and features a standard v-neck, and chest pocket.